POWERS LAKE, Wis. and DURHAM, N.C., Dec. 3, 2018 /PRNewswire/ -- Pharmacy packaging and automation provider TCGRx, a portfolio company of Frazier Healthcare Partners, today announced the acquisition of Parata Systems. 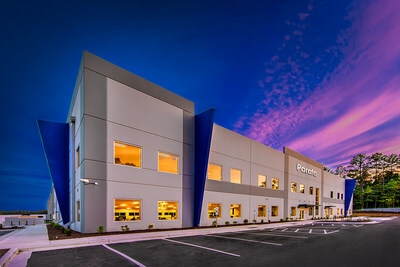 Established leaders in medication adherence packaging and high speed automated robotic dispensing technologies, TCGRx and Parata have combined to create a new market leader focused on providing pharmacy technology solutions that support business growth, better health outcomes and lower medical costs. Duane Chudy, founder of TCGRx, commented, "TCGRx's merger with Parata provides a major growth opportunity for both our businesses through extended solution and service offerings for our customers. As pharmacies elevate their role in the healthcare ecosystem, we will be best positioned to support them on their journey." Mark Longley, Parata Executive Vice President of Sales, added, "Pharmacies are under intense pressure to deliver exceptional service in the most cost-effective manner possible, all while enhancing the patient experience. The combination of our collective resources will allow us to accelerate the pace of innovation and better meet the rapidly evolving needs of our pharmacy customers." Former Parata CEO, D.J. Dougherty, has chosen to pursue other career interests. Rob Kill stated, "We are thrilled that we were able to bring these two outstanding organizations together and look forward to an exciting future for the company. D.J. and team have done a tremendous job of building a market leader known for innovative technologies supported by an exceptional customer-centric organization. We are grateful to D.J. for his leadership and years of outstanding service to Parata." Parata Systems provides pharmacy technology solutions that empower pharmacists to help people lead healthier lives. Founded in 2001, Parata offers the most extensive pharmacy automation portfolio in the industry – designing, building, and supporting both vial-filling and pouch packaging solutions. For more information, please go to www.parata.com. Founded in 1991, Frazier Healthcare Partners is a leading provider of growth and venture capital to healthcare companies. With nearly $4.2 billion total capital raised, Frazier has invested in over 170 companies, with investment types ranging from company creation and venture capital to buyouts of profitable lower-middle market companies. Frazier has offices in Seattle, WA and Menlo Park, CA, and invests broadly across the U.S., Canada, and Europe. For more information about Frazier Healthcare Partners, visit the company's website at: www.frazierhealthcare.com.